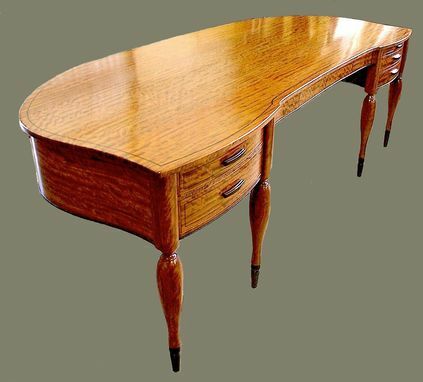 Beautifully designed and skillfully made this writing desk, with its sensuous curves and great functionality, could actually inspire one to work. 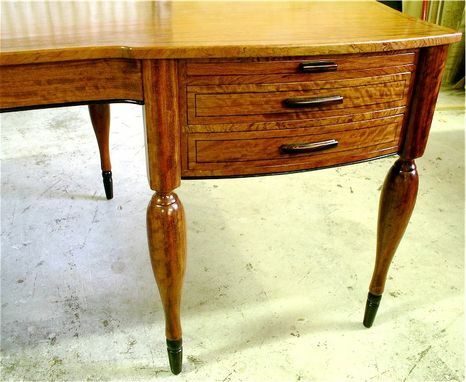 The primary wood is curly bubinga with accents, pulls, and inlays of cocobolo and wenge. 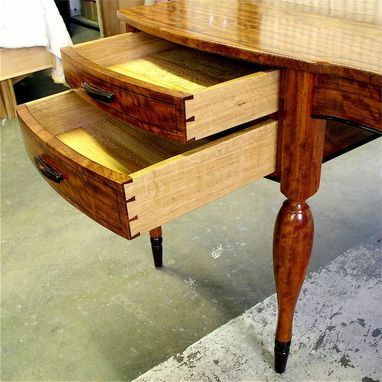 The drawers are hand dovetails and feature bottoms of lovely solid quarter sawn sycamore. Two pull-out shelves extend the already generous work surface. Every square inch of this desk is carefully detailed and beautifully crafted. $12,500.